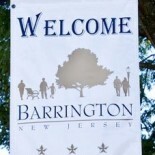 During their first regular meeting of the new year, Barrington Borough Council tonight will introduce an ordinance calling for a four-way stop sign at Second and Haines avenues and is expected to appointment of an interim construction official, authorization of the sale of surplus equipment and more, according to the governing body’s agenda. The meeting will take place at 6 p.m. at borough hall. — Ordinance 1016 for the new stop signs will be introduced on first reading. — Current construction official John Szczerbinski recommended Mark Szczerbinski as interim construction official in resolution 1-2014-18. — Resolution 1-2014-19 will allow for a public auction to be conducted Jan. 25 at the Bellmawr Public Works Garage, 1040 Creek Road. Items the borough intends to sell are a 1980 Ford truck for scrap, a Mason Dump Truck Body, a Ford F450 with plow, a 1997 Ford Explorer in poor condition, a 1994 Chevy Caprice in poor condition and a 2003 Ford Crown Vic in poor condition. The council also will vote on authorizing billing of sewer discharge to CALMAR Associates, which has been hired to manage remediation of contaminated ground water around Sessa’s Auto Station, 1303 Clements Bridge Road; authorizing an access agreement with MOTIVA Enterprises to allow for installation of monitoring wells; and approving the January bill list totaling $696,279.33. The public is invited to all council meetings and will have an opportunity to speak on any topic. 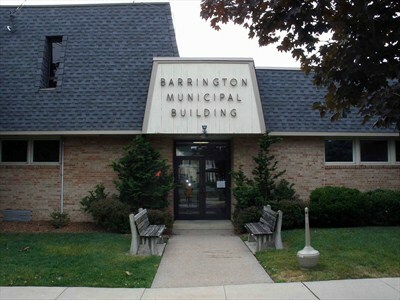 This entry was posted on January 14, 2014 by Barrington Bulletin in Borough Hall and tagged council meeting.